Japan's nuclear plant crisis explained Jump to media player David Shukman explains what is going on inside Japan's quake stricken Fukushima Daiichi plant, and assesses the potential risks from radiation. 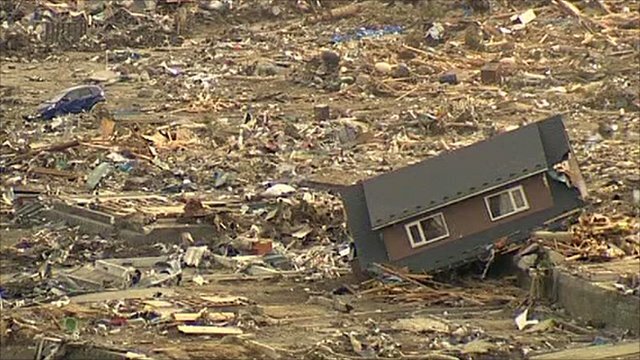 Tsunami town 'completely wiped out' Jump to media player The Japanese port town of Minamisanriku was completely wiped out by the Friday's tsunami, with the scale of the devastation just becoming clear some 72 hour later. 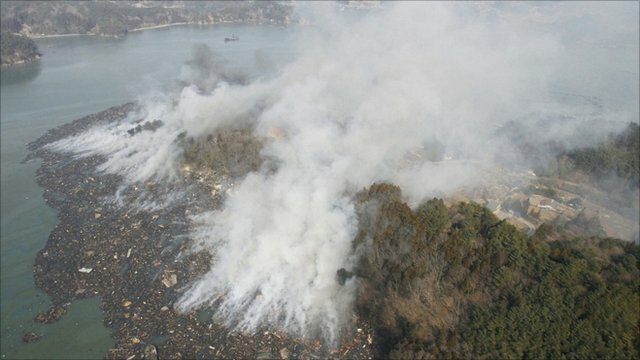 Aerial footage of Japan devastation Jump to media player Footage filmed on 13 March of Miyagi and Iwate prefectures shows flattened buildings, fires still burning and stranded ships. 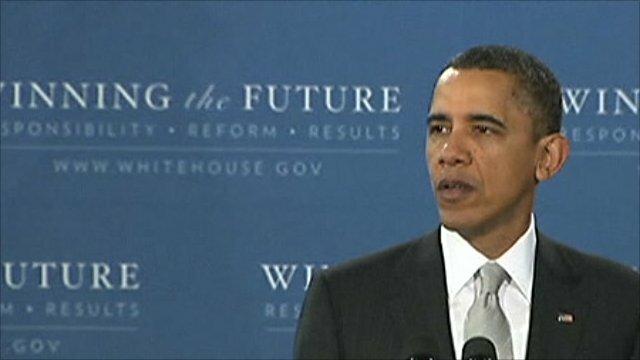 Obama: US stands with Japan Jump to media player President Barack Obama said that the US will it do all it can to assist Japan after Friday's earthquake and tsunami. 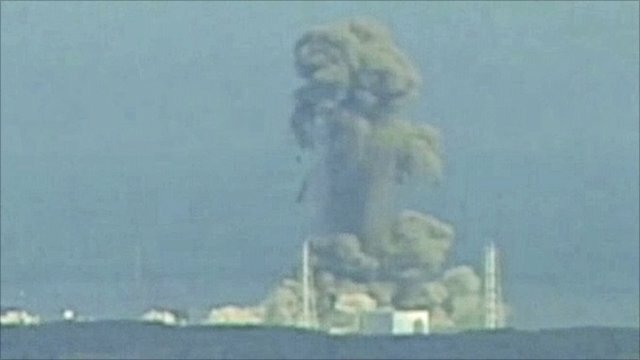 Second blast at Japan's nuclear plant Jump to media player A second explosion has hit the nuclear plant in Japan which was damaged in Friday's earthquake, but officials said it had resisted the blast. Moment when quake struck school Jump to media player Amateur footage has emerged of the moment Friday's devastating earthquake struck Japan. 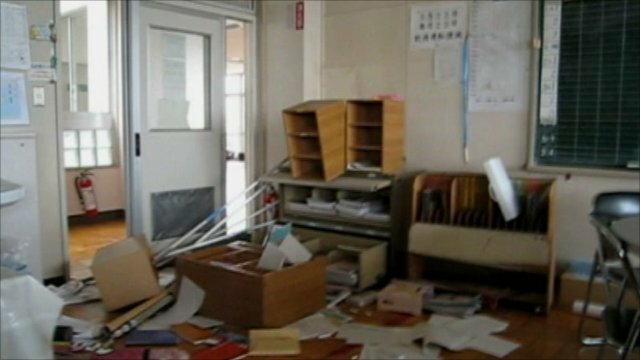 Footage shows teachers inside a second floor staff room at Osato Junior High School in Miyagi prefecture as the earthquake hit. 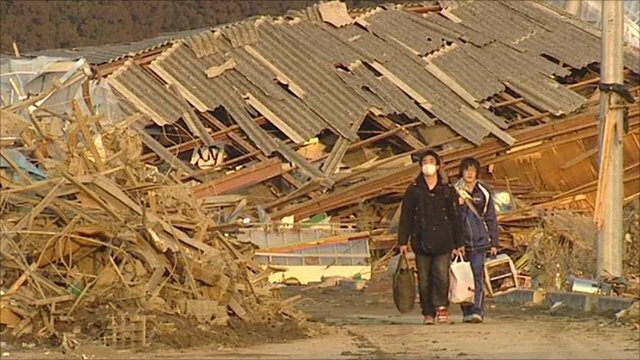 Japanese survivors find town swept away Jump to media player Alastair Leithead is in Minamisanriku, a small port which was completely devastated by Friday's earthquake and tsunami in Japan. 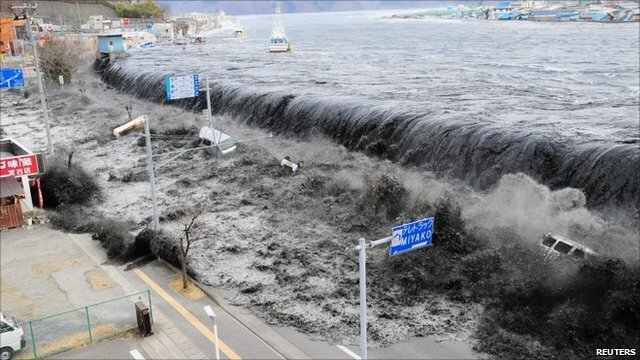 New footage of tsunami hitting Japan Jump to media player New footage shows the force with which the tsunami struck Japan's coast. What is happening in quake-stricken Japan nuclear plant? The fuel rods inside reactor 2 at the Fukushima Daiichi plant have been fully exposed on two separate occasions, raising fears of a meltdown. Seawater is being pumped into the reactor to try to stop the rods overheating and the authorities have asked the US for assistance in managing the crisis. 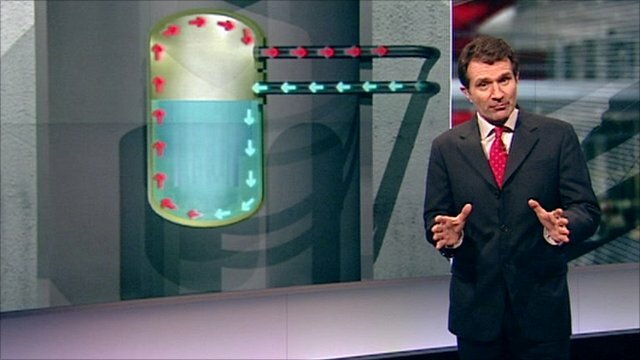 David Shukman explains what is going on inside the plant, and assesses the potential risks from radiation.